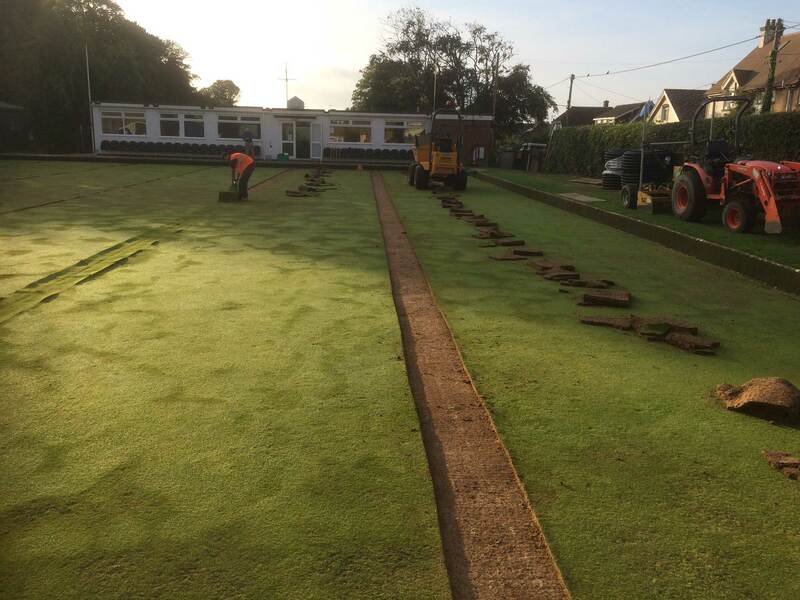 In September we made the ferry crossing to the Isle of Wight to Bembridge Bowling Club to renovate their green. Drainage trenches were excavated at 4m centres, 80mm pipe was inserted and connected to the main drain and outfall. 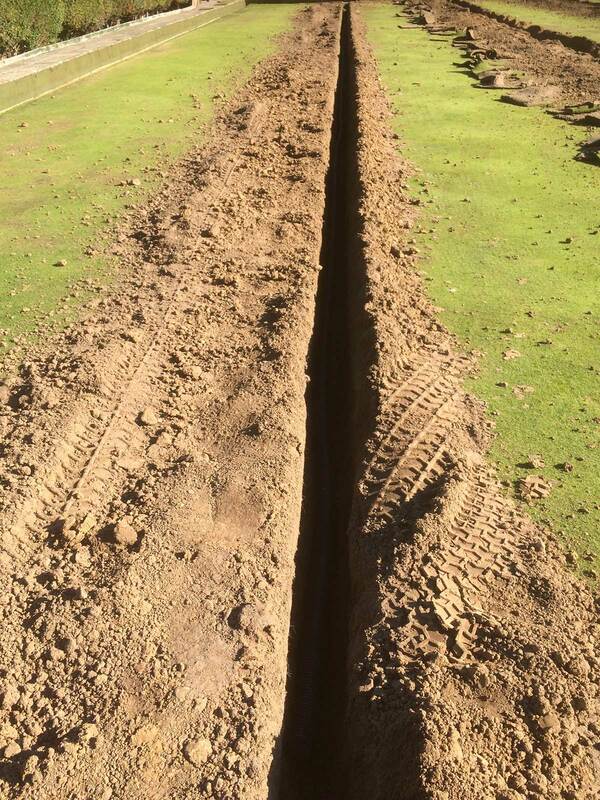 The trenches were backfilled with 4-10mm gravel to within 150mm of the surface and topped up with 70/30 rootzone. 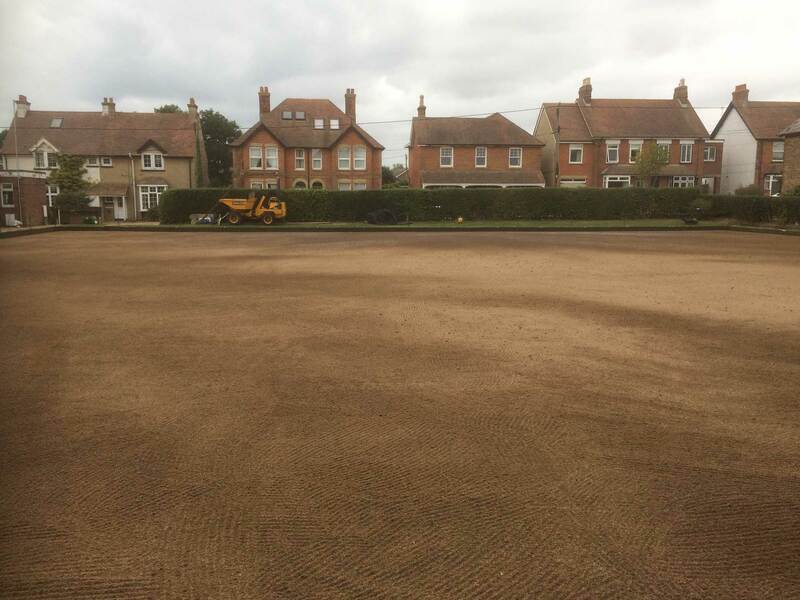 The remaining turf was stripped and the playing surface aerated and decompacted with 25mm solid tines. 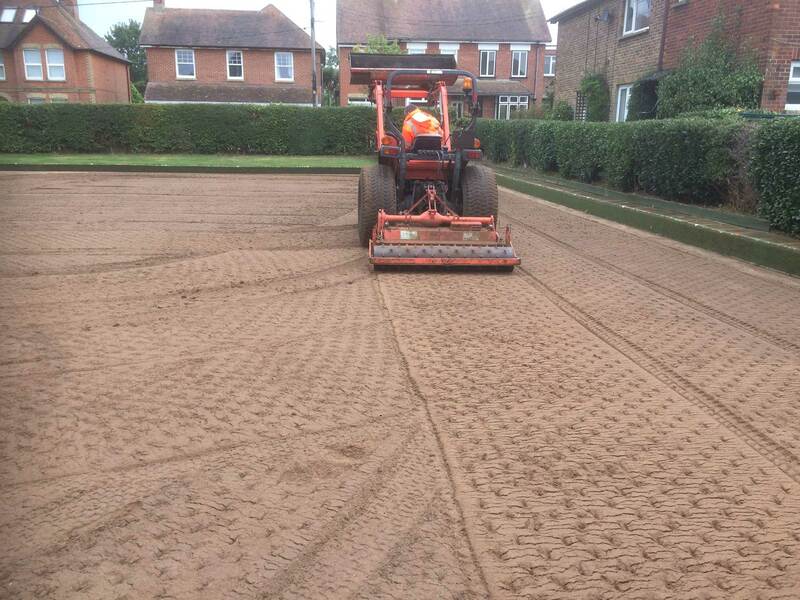 The playing surface was cultivated and laser graded. 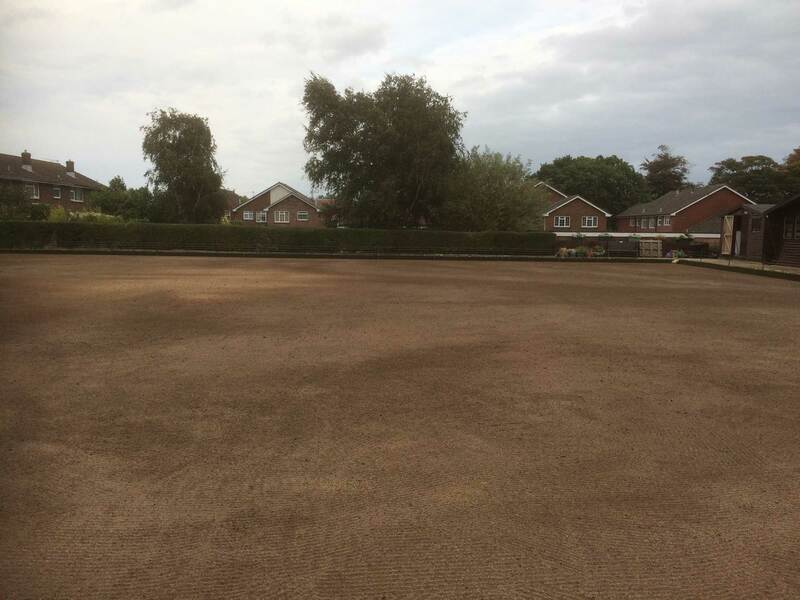 40 tonnes of sports sand was spread and ameliorated before making a second pass with the laser grader. 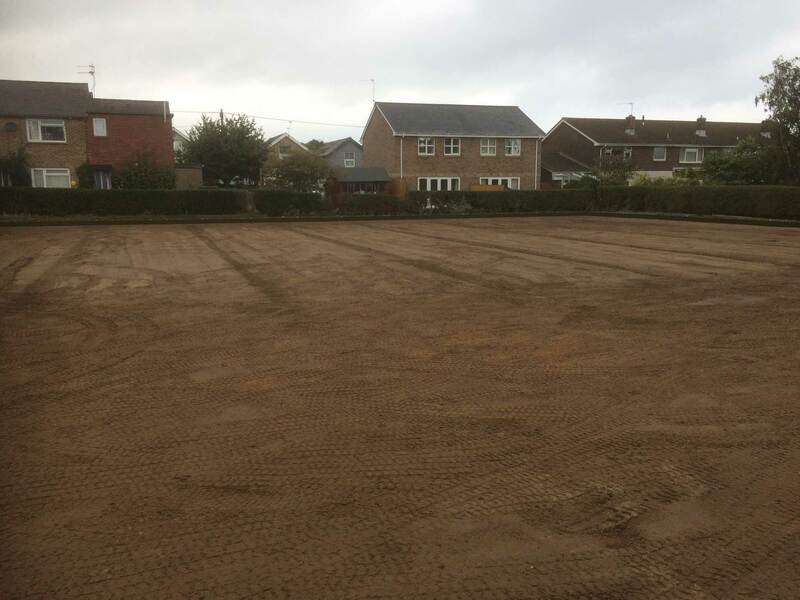 Final ground preparation was carried out with a Blec Stone Rake and hand rakes. 6:5:18 fertiliser was applied at 40g/m2 and Limagrain MM10 grass seed sown at 60g/m2.